We are best known for grilled beef and other American dishes in a ranch-style space. 925 International Drive, Wilmington, NC 28405 We are a casual steakhouse chain known for grilled beef & other American dishes. 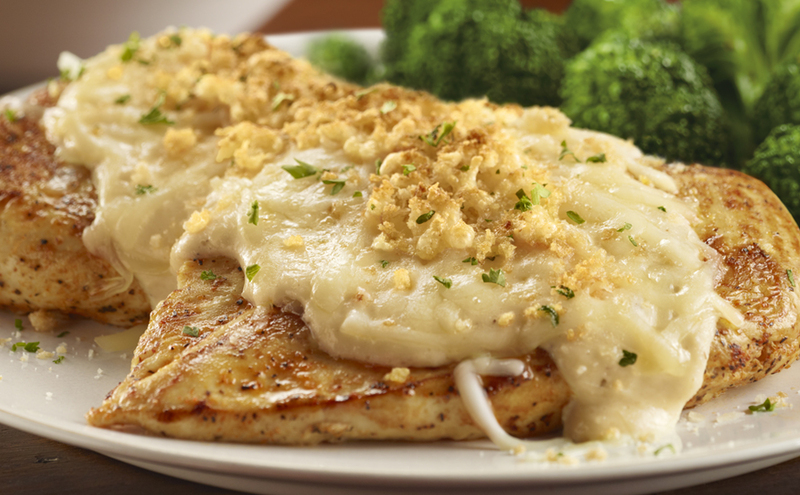 Our fresh chicken topped with a cheesy, crunchy Parmesan and garlic cheese crust. Includes hand-chopped salad and choice of side. Cut fresh and hand-trimmed. 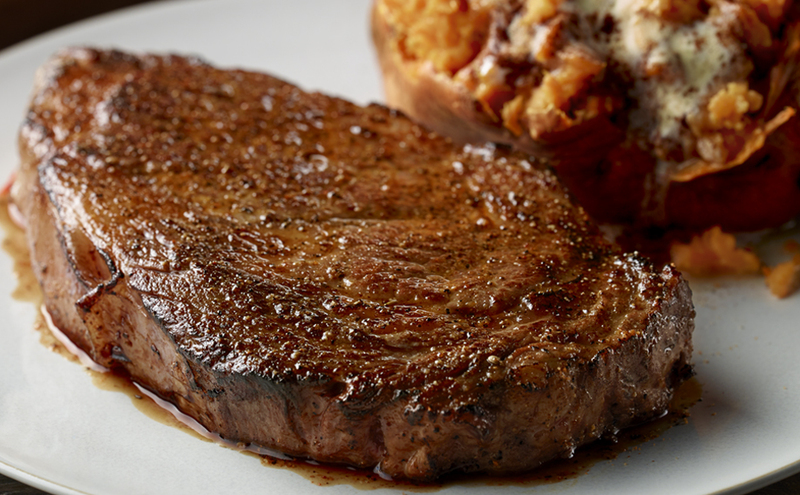 12 ounces of our most juicy and flavorful steak, distinguished by the rich marbling that runs through each cut. Served with your choice of side. So good it is criminal. 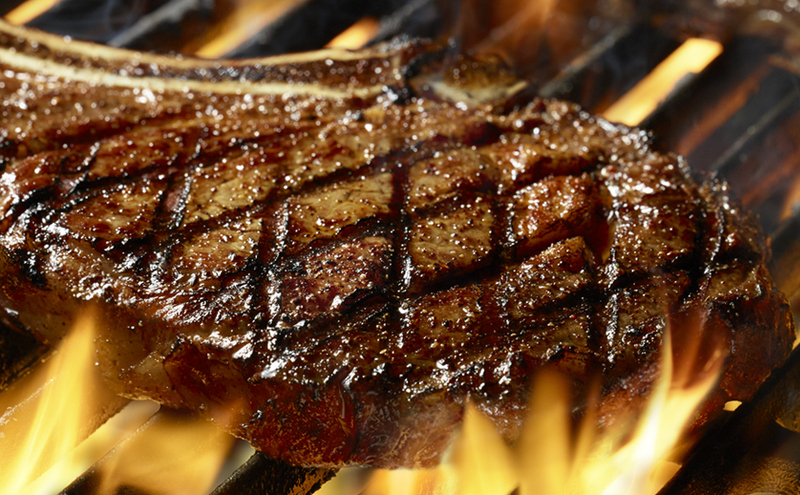 Juicy marbling, perfectly seasoned and fire-grilled, the 18 oz. of bone-in flavor make it a favorite. Served with choice of side and hand-chopped salad. Lean, fresh and grilled to order. Top USDA Choice sirloin generously seasoned with a secret blend of spices, then grilled to perfection. 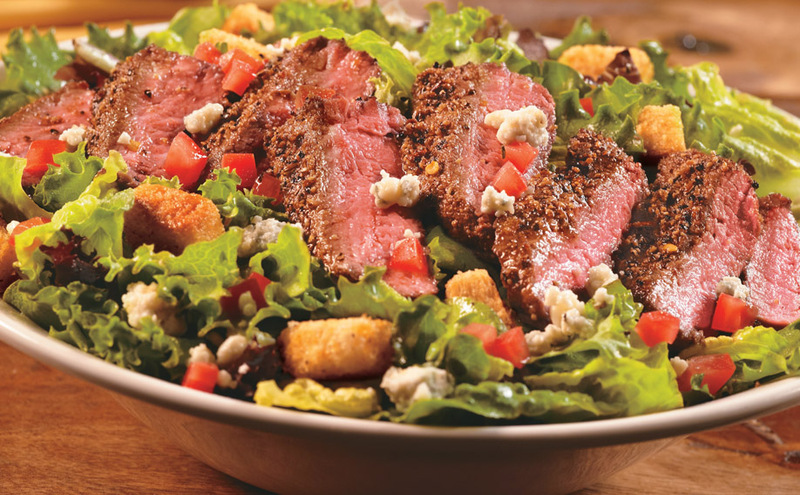 Served with your choice of side and hand-chopped salad. Slow-roasted for over 11 hours for incredible flavor. While available. Served with your choice of side and hand-chopped salad. We call these Firecrackers because they’re bursting with flavor! Spicy grilled chicken and cheese wrapped in a crispy flour tortilla, served with a cool avocado-lime dipping sauce. A guest favorite and named after one of our servers who loved this signature cut. 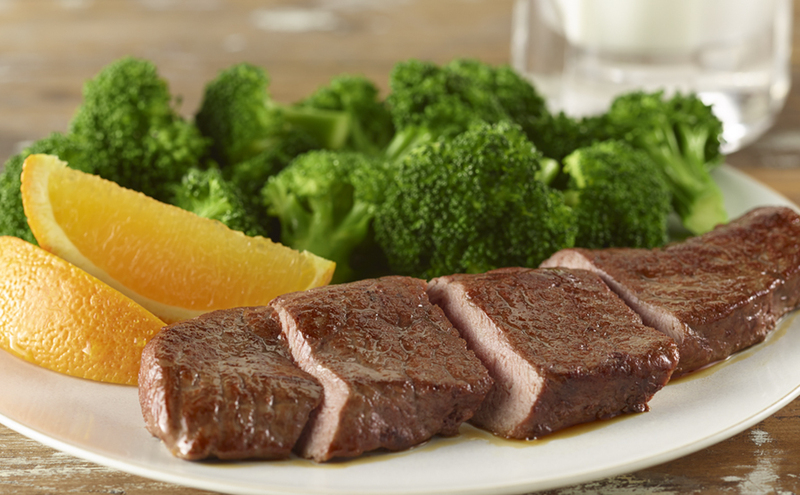 Our most tender center-cut of beef; lean yet succulent, mouth-watering buttery texture, and subtle flavor. Hand-seasoned and cooked to perfection. Served with choice of side and hand-chopped salad. Rich dark chocolate with a creamy fudge center, served warm with vanilla bean ice cream. BIG FLAVOR in smaller portions. Made for one, but craveable enough to order two. 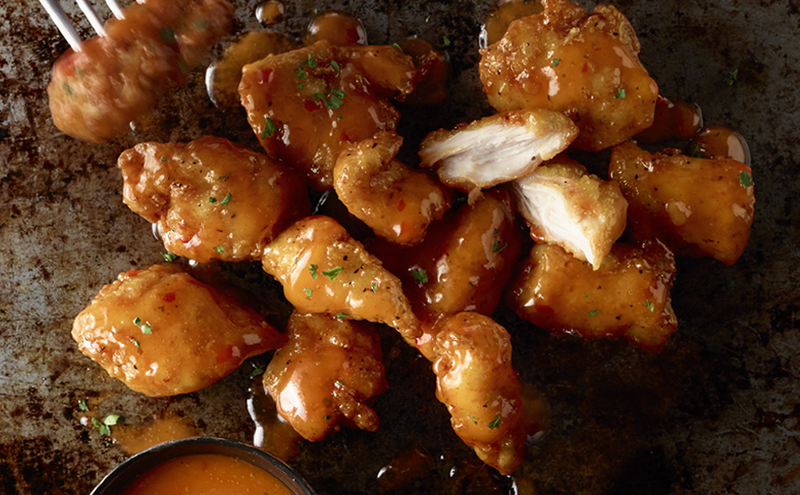 Crispy chicken tossed in a spicy sweet chili-ginger sauce. 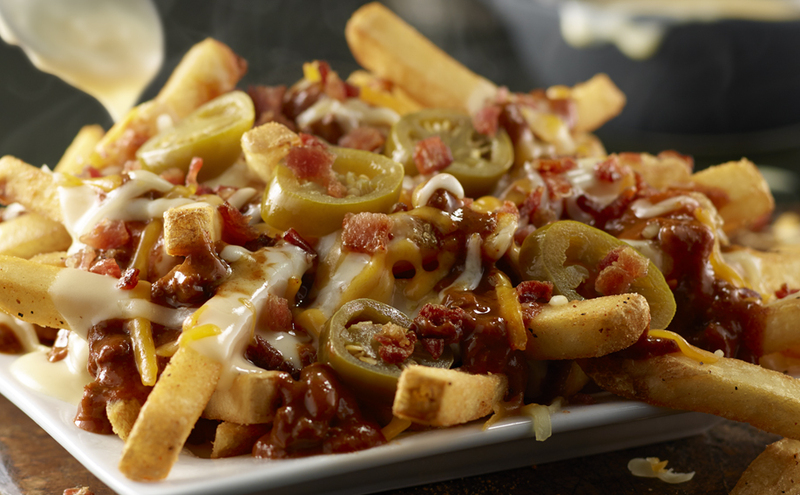 Seasoned fries loaded with chili, cheese sauce, melted cheddar, bacon and jalapenos. 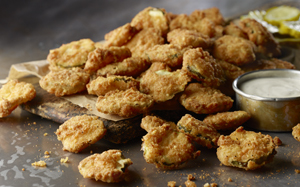 Crispy Parmesan panko-breaded dill pickles with housemade ranch dip. Hand-crafted with BIG BOLD TASTE. Share the perfect start to a great lunch. 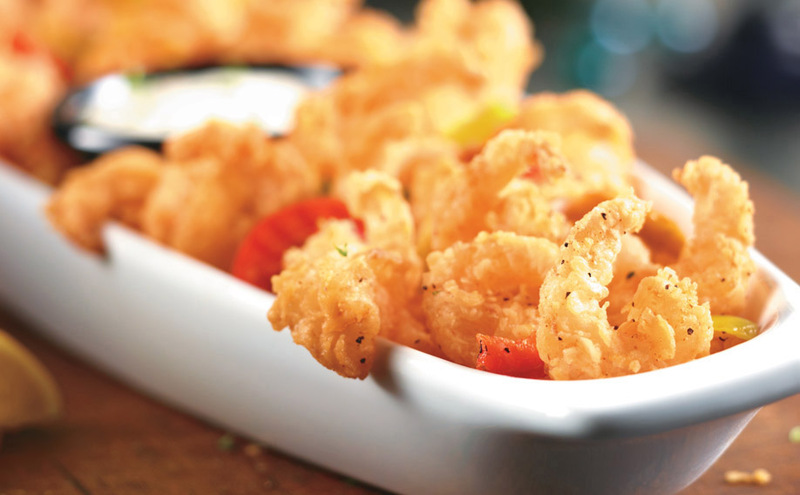 Crispy onion petals drizzled with sour cream and served with a zesty dipping sauce. 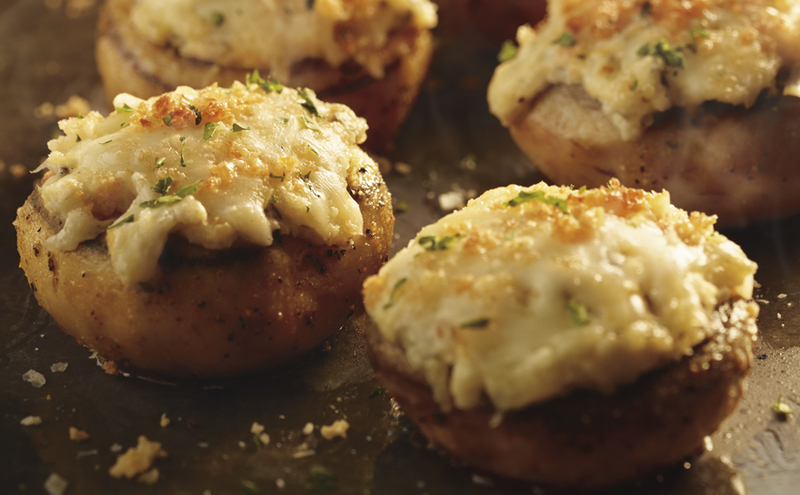 Fresh, roasted mushrooms hand-stuffed with garlic herb cheese and served over a creamy blend of four melted cheeses. We start with crispy, hand-battered shrimp and put the flavor in overdrive with spicy cherry peppers, garlic butter and housemade Ranch dressing. It’s so good you won’t want to share. Crispy chicken wings with our proprietary seasoning, served with housemade blue cheese dressing and Buffalo style sauce. 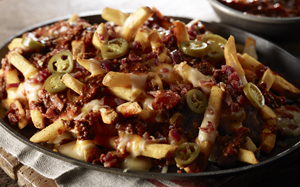 Loaded with Texas style all-beef chili, topped with aged cheddar, four-cheese sauce, smoky bacon and spicy jalapenos. Served 11am to 4pm. Combinations of LongHorn favorites that are perfect for a quick lunch. * = CONTAINS (OR MAY CONTAIN) RAW OR UNDERCOOKED INGREDIENTS. CONSUMING RAW OR UNDERCOOKED MEATS, POULTRY, SEAFOOD, SHELLFISH OR EGGS MAY INCREASE YOUR RISK OF FOODBORNE ILLNESS, ESPECIALLY IF YOU HAVE CERTAIN MEDICAL CONDITIONS. BURGERS AND CHOPPED STEAK COOKED TO MEDIUM (155°). 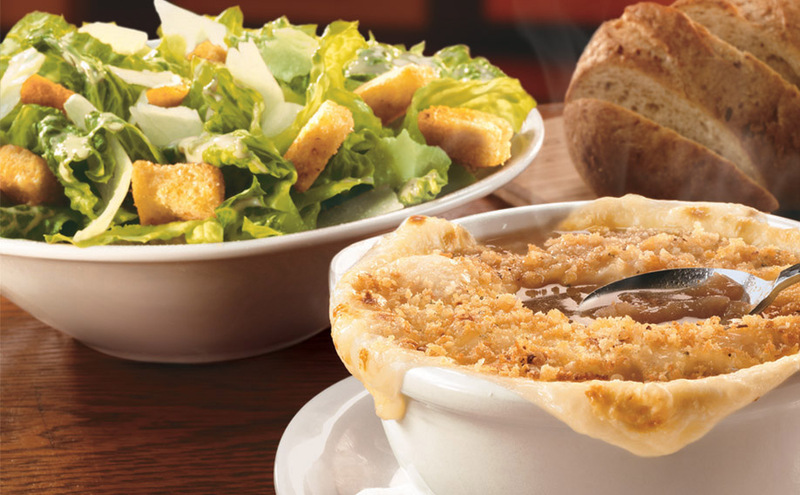 Choice of either Mixed Green Salad or Caesar Salad with one of our soups. 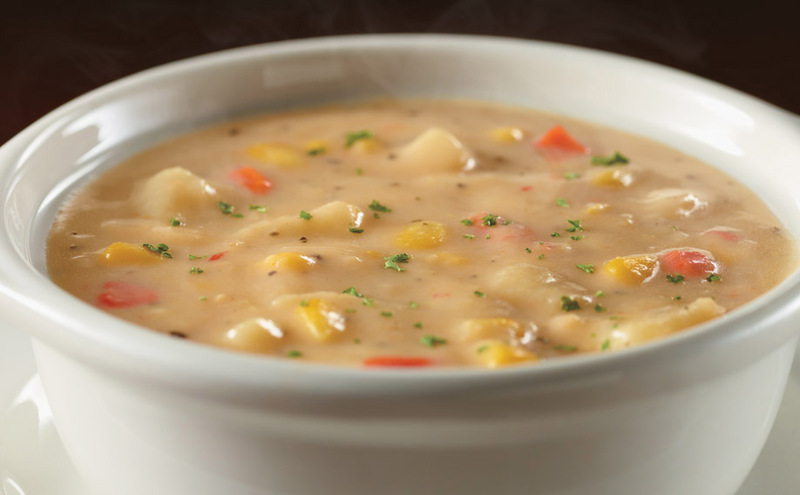 Current selections include Roasted Tomato Basil Soup, Shrimp & Lobster Chowder or French Onion Soup. Choice of either Mixed Green Salad, Caesar Salad or Bowl of Soup. 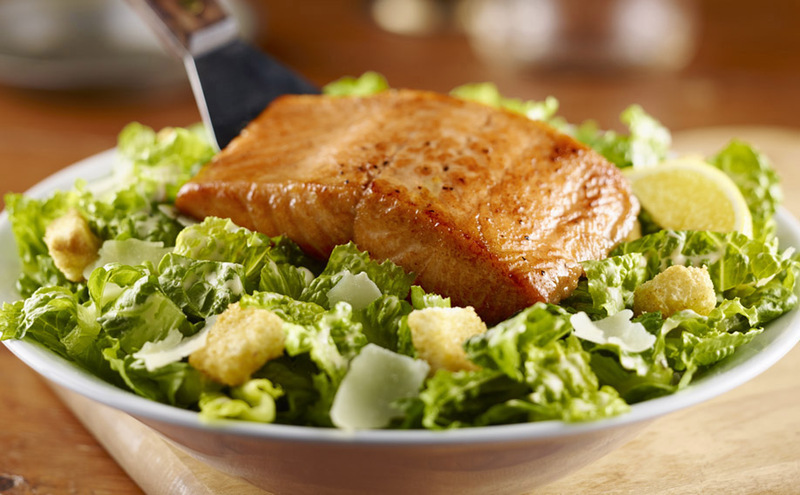 Generous size with fresh hand-chopped greens and grilled-to-order steak, chicken, shrimp or salmon. * = CONTAINS (OR MAY CONTAIN) RAW OR UNDERCOOKED INGREDIENTS. CONSUMING RAW OR UNDERCOOKED MEATS, POULTRY, SEAFOOD, SHELLFISH OR EGGS MAY INCREASE YOUR RISK OF FOODBORNE ILLNESS, ESPECIALLY IF YOU HAVE CERTAIN MEDICAL CONDITIONS. BURGERS AND CHOPPED STEAK COOKED TO MEDIUM (155°). 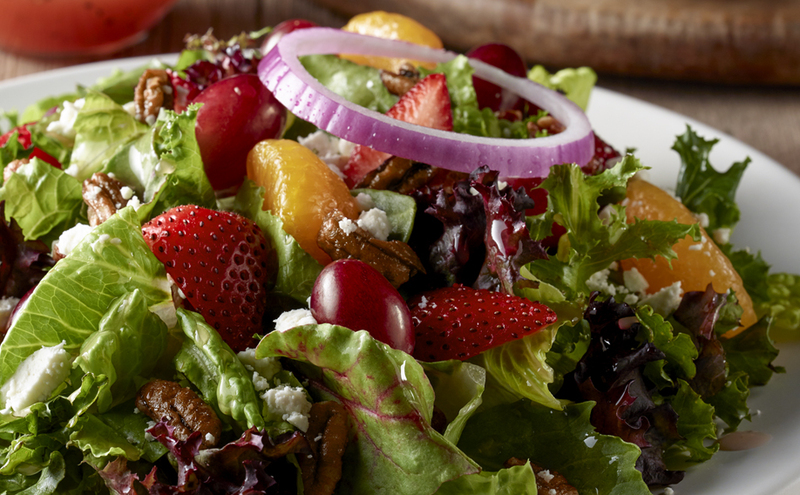 Fresh, crisp field greens with grapes, mandarin oranges, candied pecans, red onion and feta cheese. All tossed up in a sweet raspberry vinaigrette or choice of dressing. 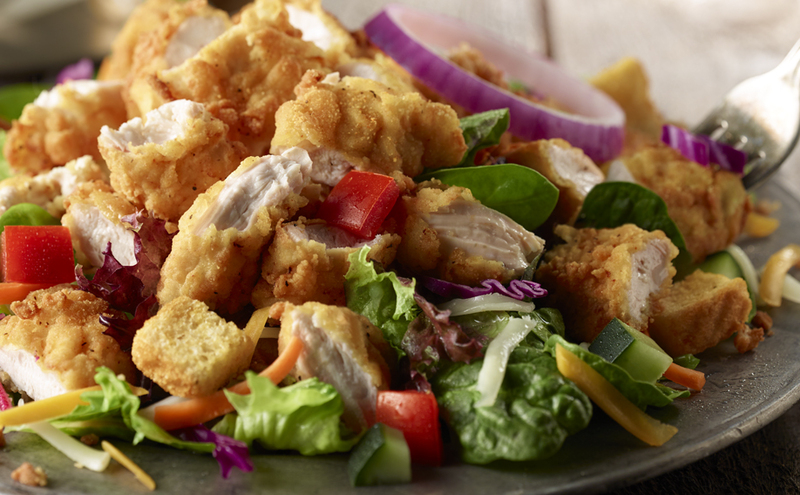 Hand-breaded chicken tenders over fresh field greens with aged cheddar cheese, diced Roma tomatoes, croutons and red onion. Your choice of dressing. Grilled to order sirloin* in a robust blend of 7 peppers, with diced tomatoes and crumbled blue cheese on fresh hand-chopped green. Your choice of dressing. Grilled to order sirloin in a robust blend of 7 peppers. With Caesar or your choice of dressing. Tomato, cucumber, red onion and cheddar jack cheese on field greens. Your choice of dressing. Available with chicken for no extra charge. 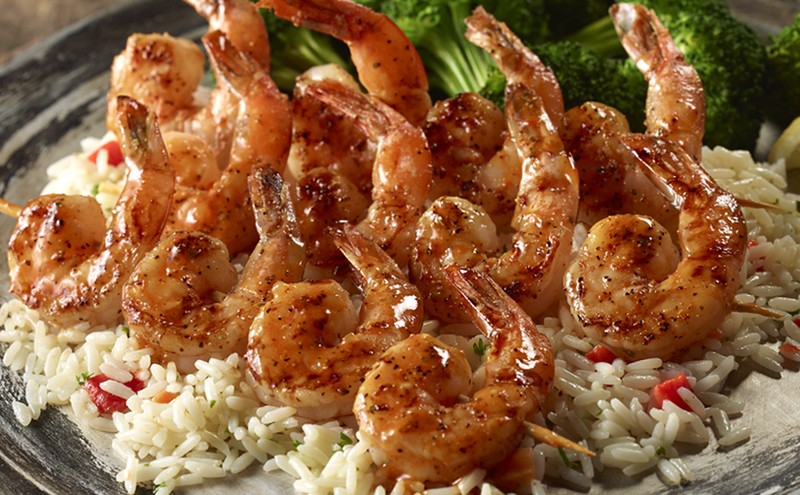 Shrimp or sirloin* available for an additional charge. 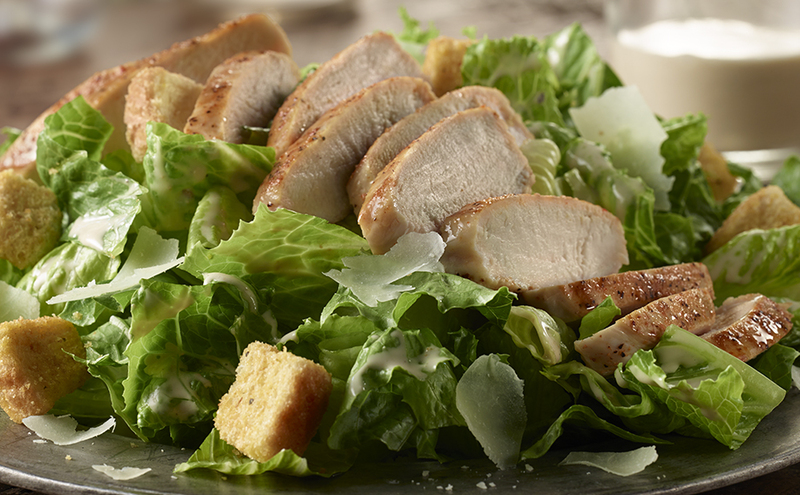 Hand-chopped romaine tossed in house Caesar dressing (or your choice of dressing) with croutons and shaved Parmesan cheese. Available with chicken for no extra charge. 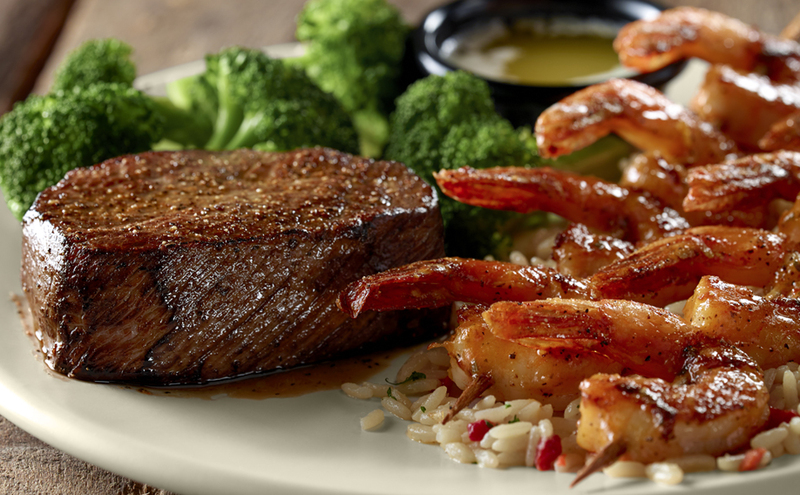 Shrimp or sirloin* available for an additional charge. Bourbon marinated on crisp field greens or Caesar. Your choice of dressing. Hand-crafted and expertly prepared. Served with seasoned fries. 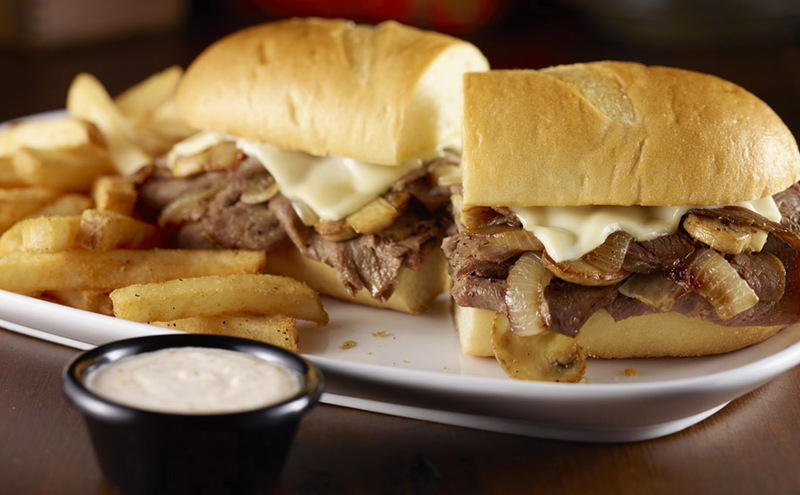 Shaved prime rib topped with onions, mushrooms and Swiss cheese. Served with a side of horseradish and a choice of side. 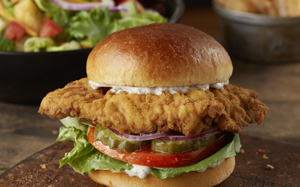 Fresh hand-breaded chicken breast fried, with lettuce, onion, tomato, pickles and house made ranch dressing. Half-pound of fresh beef grilled perfectly on a toasted brioche bun. * = CONTAINS (OR MAY CONTAIN) RAW OR UNDERCOOKED INGREDIENTS. CONSUMING RAW OR UNDERCOOKED MEATS, POULTRY, SEAFOOD, SHELLFISH OR EGGS MAY INCREASE YOUR RISK OF FOODBORNE ILLNESS, ESPECIALLY IF YOU HAVE CERTAIN MEDICAL CONDITIONS. BURGERS AND CHOPPED STEAK COOKED TO MEDIUM (155°). The one-of-a-kind original. 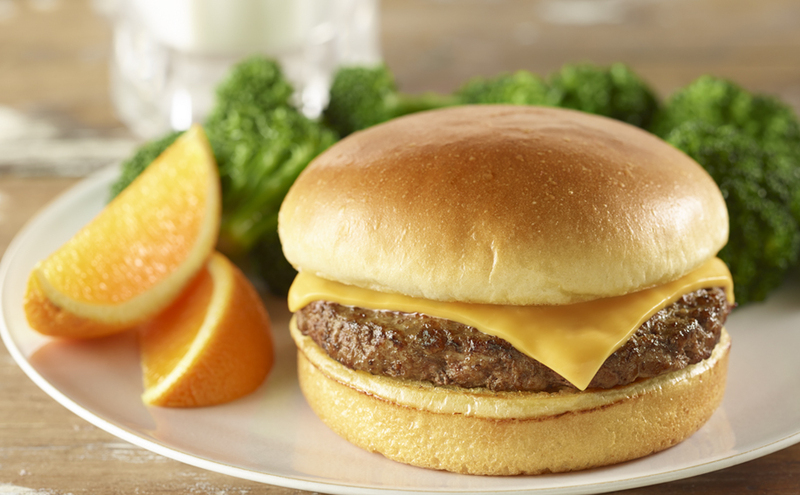 A half-pound of fresh beef, grilled to order, dressed to impress and topped with your choice of American, Swiss or cheddar cheese. 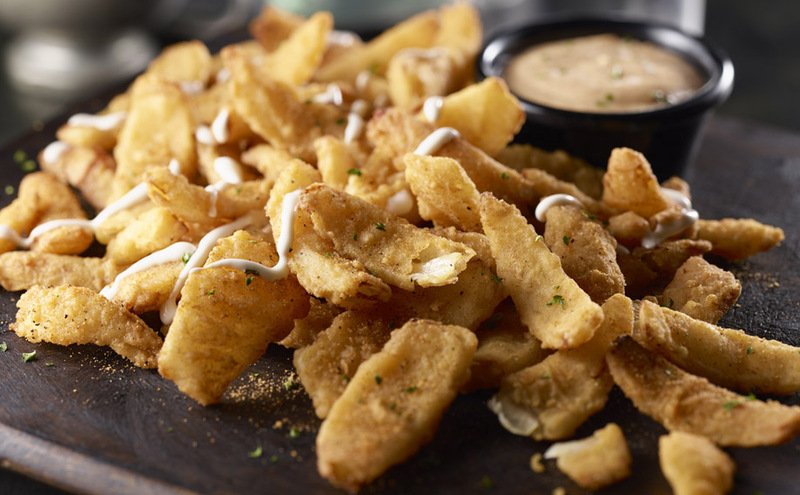 Served with our crave-worthy fries or your choice of side. Topped with roasted mushrooms, Swiss Gruyère cheese, steakhouse aioli and arugula. 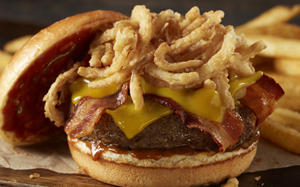 Loaded with applewood smoked bacon, housemade BBQ sauce, cheddar cheese and crispy onion straws. 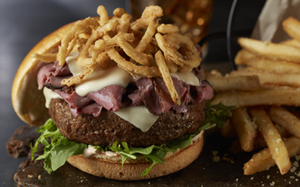 Topped with shaved American Kobe steak, Gruyère cheese, crispy onion straws, arugula and steakhouse sauce. Served with Parmesan Truffle Fries. 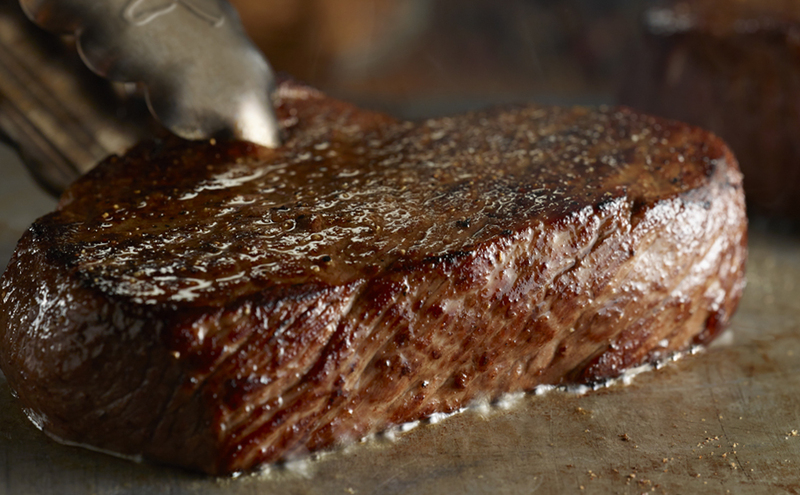 Our legendary Steaks are perfectly seasoned and expertly grilled to your liking. Served with your choice of side and freshly baked Honey Wheat bread. * = CONTAINS (OR MAY CONTAIN) RAW OR UNDERCOOKED INGREDIENTS. CONSUMING RAW OR UNDERCOOKED MEATS, POULTRY, SEAFOOD, SHELLFISH OR EGGS MAY INCREASE YOUR RISK OF FOODBORNE ILLNESS, ESPECIALLY IF YOU HAVE CERTAIN MEDICAL CONDITIONS. BURGERS AND CHOPPED STEAK COOKED TO MEDIUM (155°). Lean, fresh and grilled to order. 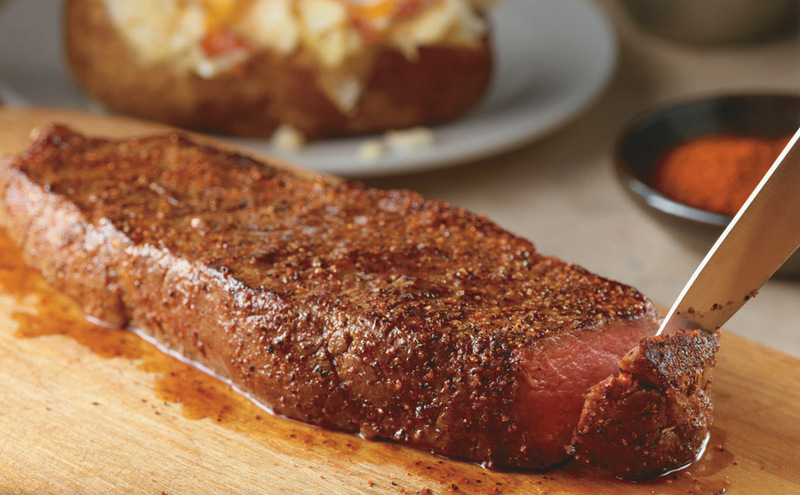 Top USDA choice sirloin generously seasoned with a secret blend of spices, then grilled to perfection. Served with your choice of side. 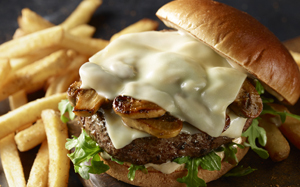 Freshly ground beef and smothered with mushrooms, savory garlic-herb sauce and crispy onions. Choice of side. Marinated in house. Served with your choice of side. A guest favorite and named after one of our servers who loved this signature cut. 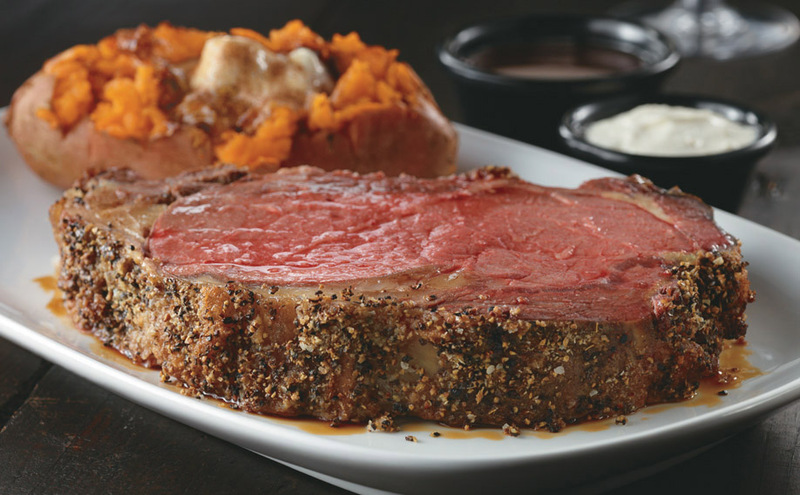 Our most tender center-cut of beef; lean yet succulent, mouth-watering buttery texture, and subtle flavor. 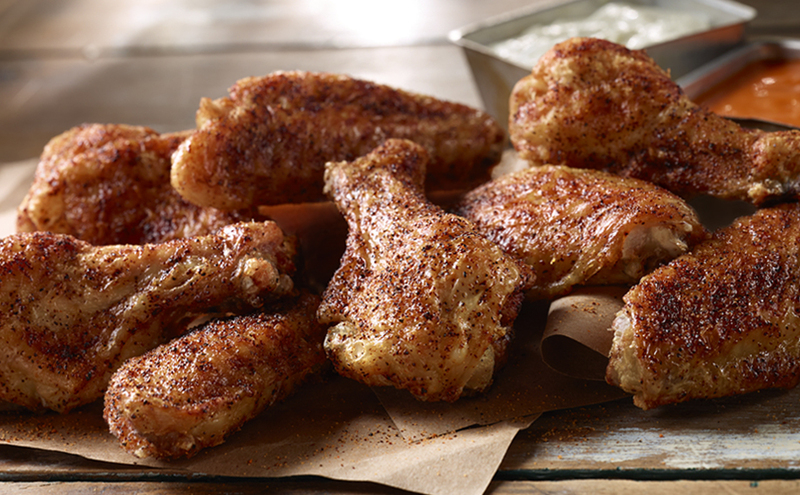 Hand-seasoned and cooked to perfection. Served with choice of side. Order a delicious 12 oz. New York Strip steak for lunch at LongHorn Steakhouse. Served with choice of side. Two great cuts in one steak. 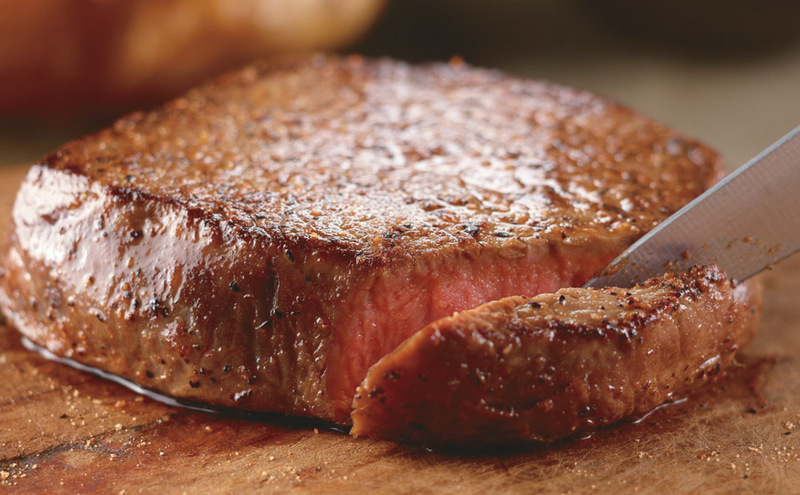 A combination of the tenderness and delicate flavor of the filet and the richly marbled Strip, 18 oz. Served with choice of side. So good it is criminal. 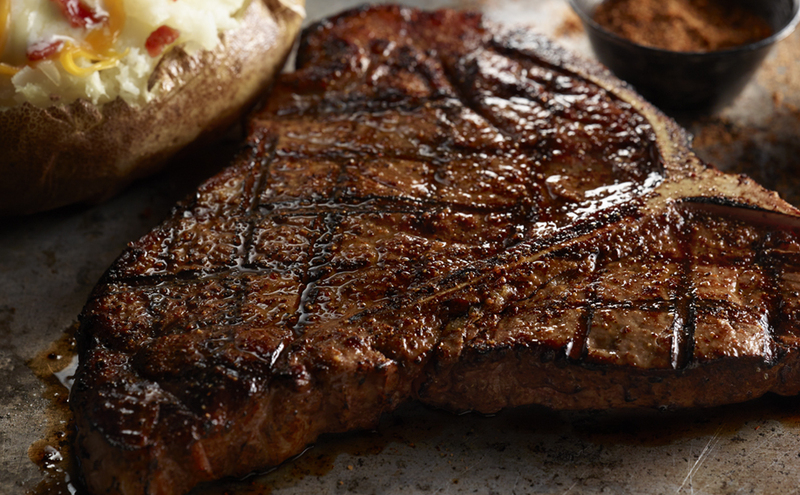 Juicy marbling, perfectly seasoned and fire-grilled, the 18 oz. of bone-in flavor make it a favorite. Served with choice of side. Got the biggest steak in the game wearing our name! 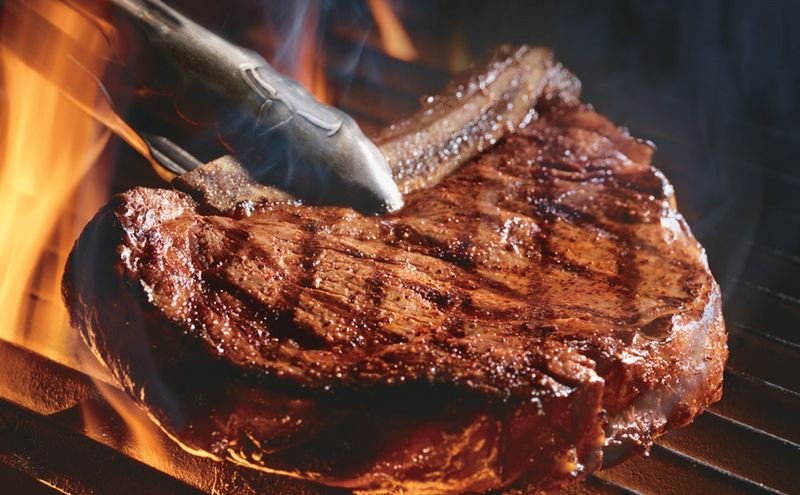 Our 22 oz porterhouse combines a bone-in strip and a tender filet into one thick cut. Served with choice of side. 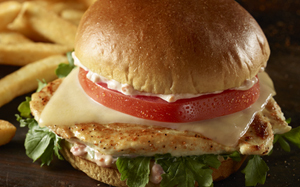 Our fresh, never frozen chicken and fish are expertly prepared to juicy perfection. Served with choice of side. * = CONTAINS (OR MAY CONTAIN) RAW OR UNDERCOOKED INGREDIENTS. CONSUMING RAW OR UNDERCOOKED MEATS, POULTRY, SEAFOOD, SHELLFISH OR EGGS MAY INCREASE YOUR RISK OF FOODBORNE ILLNESS, ESPECIALLY IF YOU HAVE CERTAIN MEDICAL CONDITIONS. BURGERS AND CHOPPED STEAK COOKED TO MEDIUM (155°). Our fresh chicken becomes irresistible when we top it with our cheesy, crunchy Parmesan and garlic cheese crust, all served on a bed of rice! You’ll find yourself saying it’s as good as our steaks! Choice of side. Tender half-rack of BBQ ribs. Served with fries and choice of side. 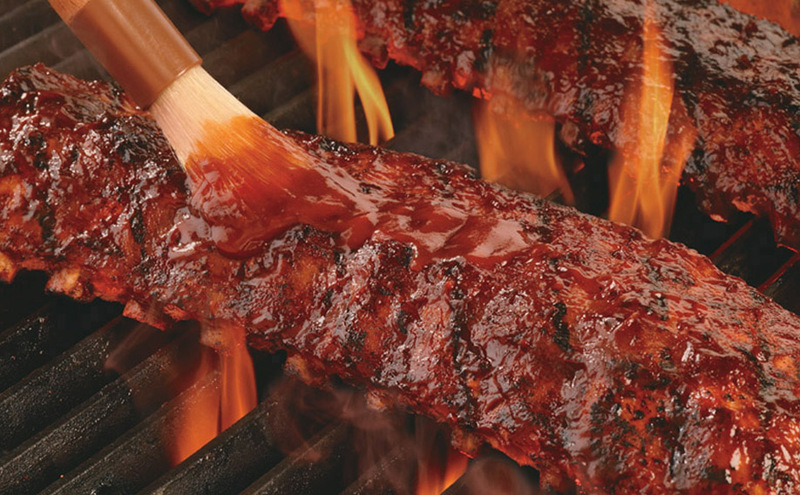 Tender full-rack of BBQ ribs. Served with fries and choice of side. What's a steakhouse know about salmon? Plenty! Our hand-cut, fresh Atlantic Salmon is marinated in our secret bourbon marinade and grilled to flaky perfection. Served over rice and choice of side. 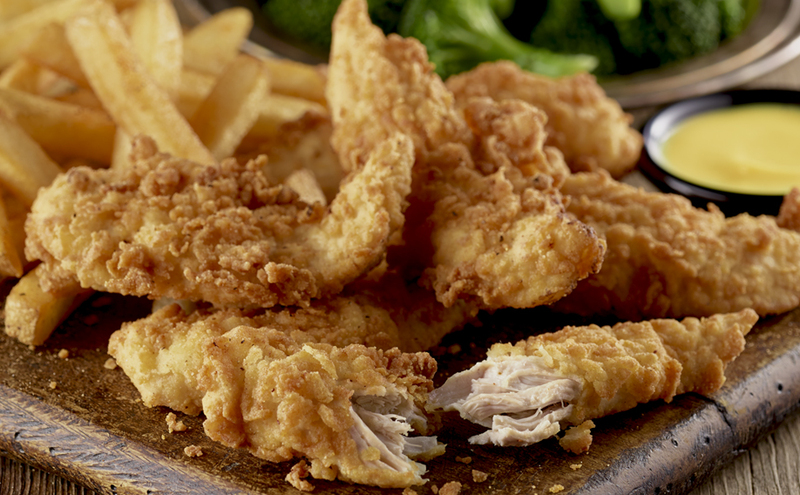 Fresh, never frozen chicken tenders, served dipping sauce and choice of side. With tomato butter and rice, served with a choice of side. Artichoke hearts, grilled mushrooms and roasted tomatoes. 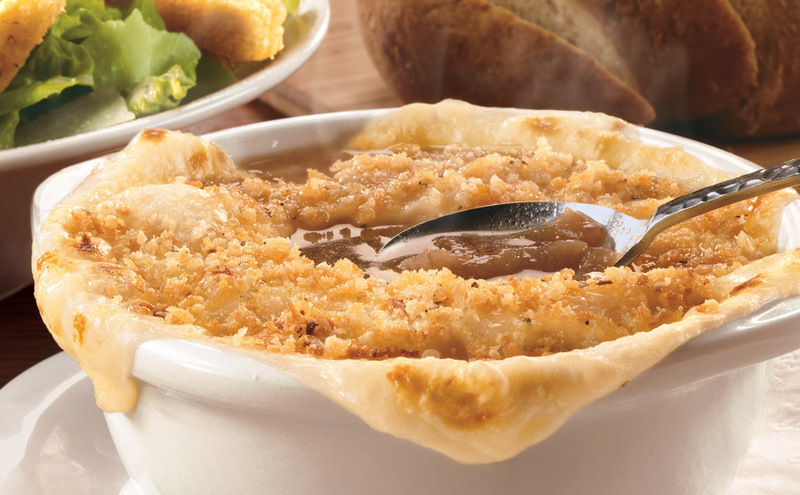 Sides so TASTY you just might finish them before the entree. Substitute a signature side or signature salad for an additional cost. 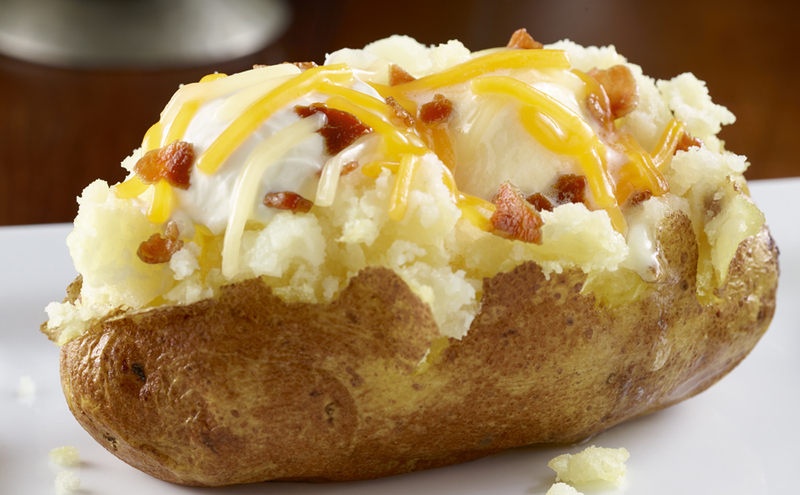 With butter, cheese, sour cream, and bacon. With cinnamon sugar & butter. 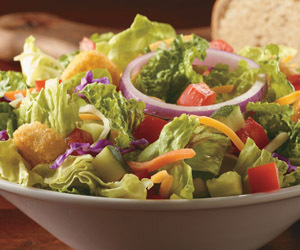 Try one of LongHorn's two hand-chopped side salads with your meal. Order either a Caesar or Mixed Green Salad today. Hand-chopped greens topped with the freshest ingredients. 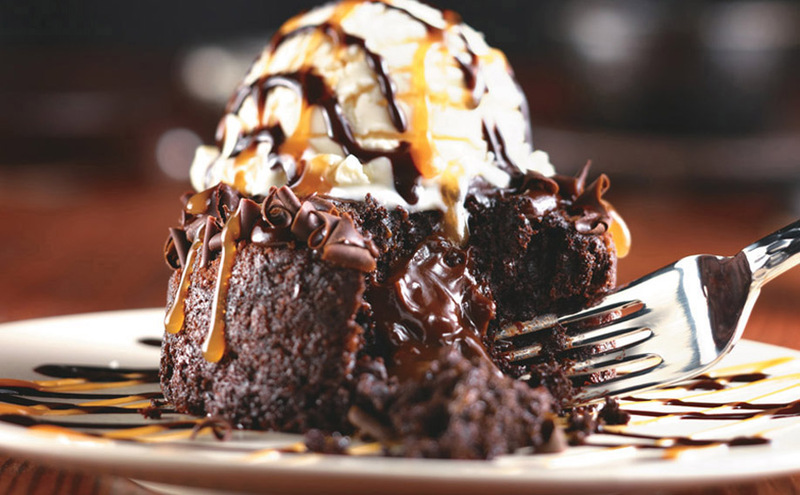 There's always room for LongHorn's Desserts. Go ahead and try one, we'll bring extra forks! 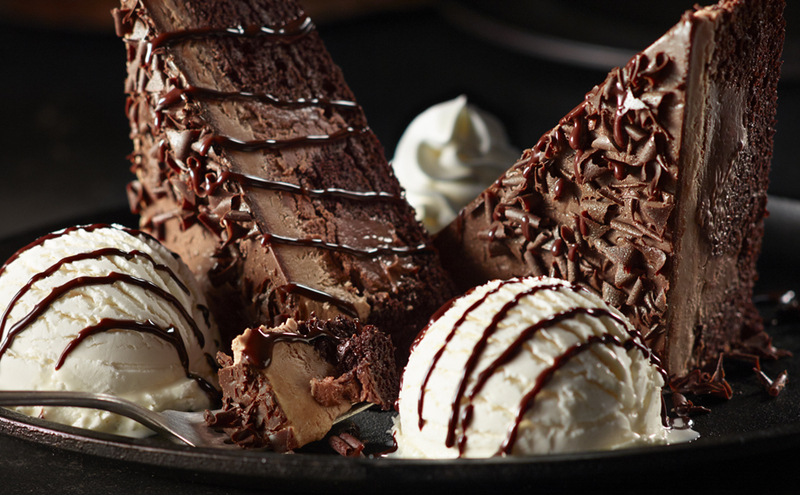 You may need a friend to share our famous Chocolate Stampede - it's that big! Six types of chocolate in peaks and layers that are served with vanilla bean ice cream. Serves two. 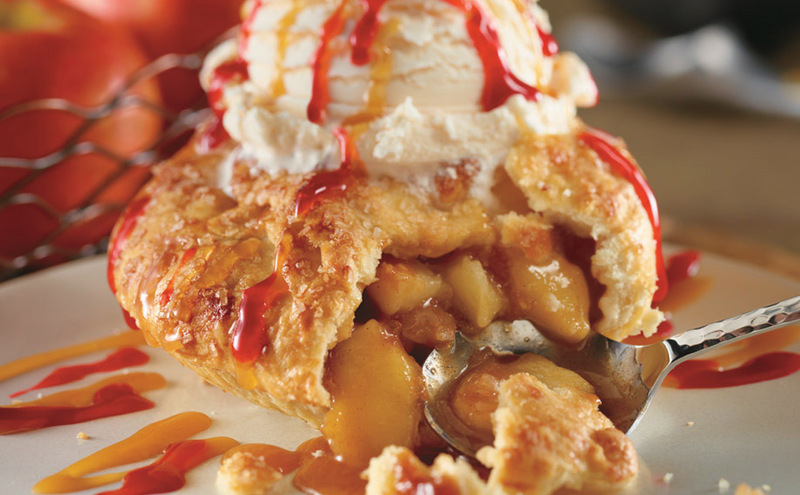 If only Mom's apple pie was this good. Fresh baked pie crust packed with sweet, juicy Fuji apples, topped with vanilla bean ice cream, and drizzled with caramel and raspberry sauce. 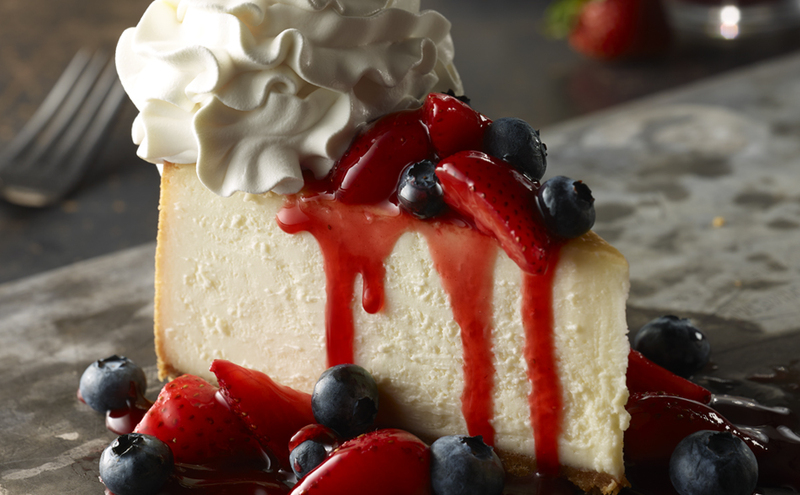 Creamy cheesecake with a graham cracker crust, topped with fresh strawberries, blueberries and whipped cream. 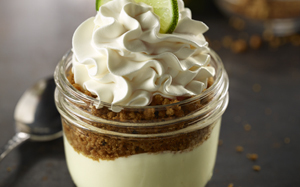 Tangy lime and graham cracker crumbles topped with fresh whipped cream and a lime. 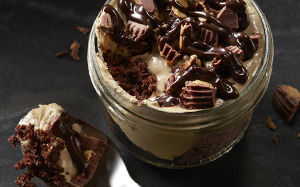 With Reese's Peanut Butter Cups. 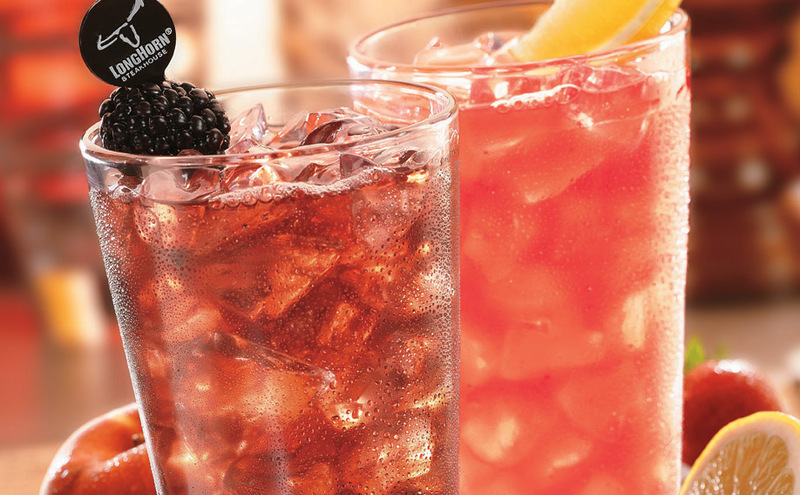 Quench your thirst with a refreshing beverage. Or two. Rich, creamy & smooth since 1919. Served hot and ready to enjoy. 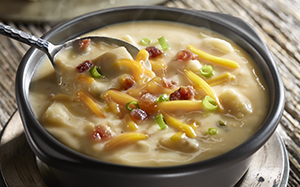 Topped with bacon, cheddar and fresh green onions. 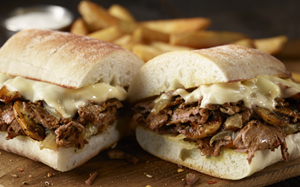 A steakhouse classic, topped with melted Swiss cheese. Texas style all-beef chili with no beans. 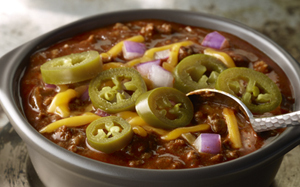 Boldly seasoned and finished with aged cheddar, red onions and jalapeños. Always Fresh, aged and hand-trimmed to exacting specifications. BOLDLY seasoned & EXPERTLY grilled. Served with choice of side, salad & unlimited freshly-baked Honey Wheat bread. * = CONTAINS (OR MAY CONTAIN) RAW OR UNDERCOOKED INGREDIENTS. CONSUMING RAW OR UNDERCOOKED MEATS, POULTRY, SEAFOOD, SHELLFISH OR EGGS MAY INCREASE YOUR RISK OF FOODBORNE ILLNESS, ESPECIALLY IF YOU HAVE CERTAIN MEDICAL CONDITIONS. BURGERS AND CHOPPED STEAK COOKED TO MEDIUM (155°). Two great cuts in one steak. 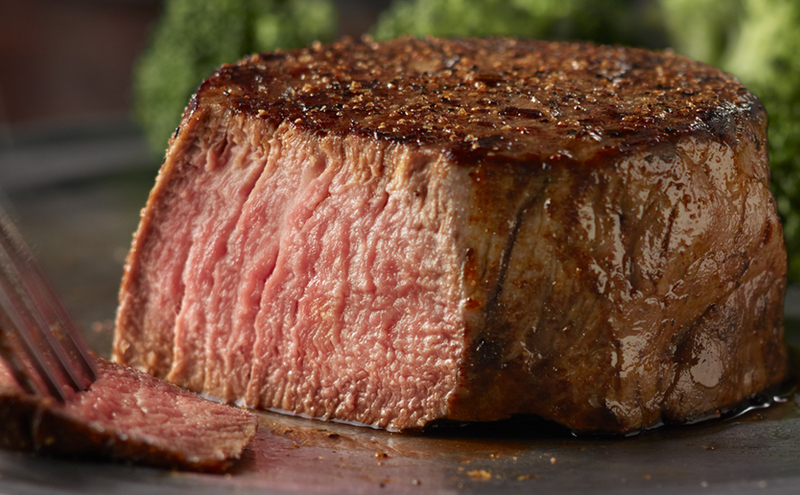 A combination of the tenderness and delicate flavor of the filet and the richly marbled Strip, 18 oz. Served with salad & choice of side. Grilled sirloin paired with two skewers of grilled shrimp glazed with our smoky tomato butter. Served with salad & choice of side. Got the biggest steak in the game wearing our name! 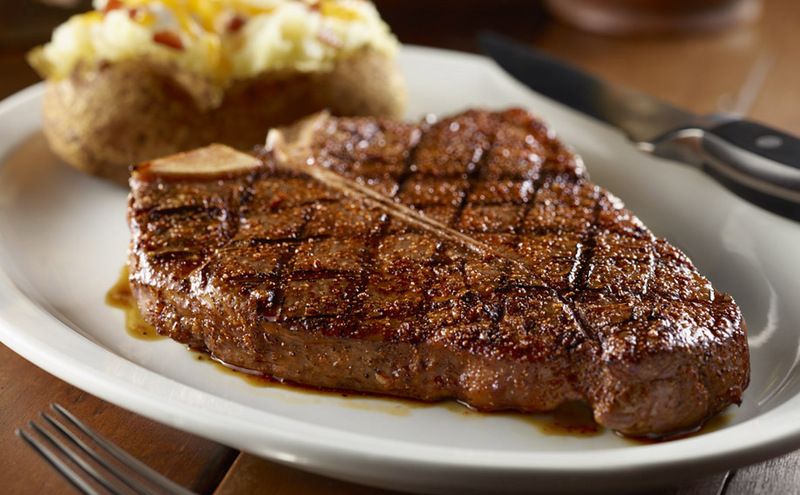 Our 22 oz porterhouse combines a bone-in strip and a tender filet into one thick cut. Served with choice of side and hand-chopped salad. Well-marbled, tender and full of flavor, this steak is a steakhouse classic. Served with your choice of side and hand-chopped salad. It’s not flat or made out of iron. But it is a delicious, tender and juicy 8 oz steak. We marinate it in-house for extra flavor and then sear it on a red hot grill. 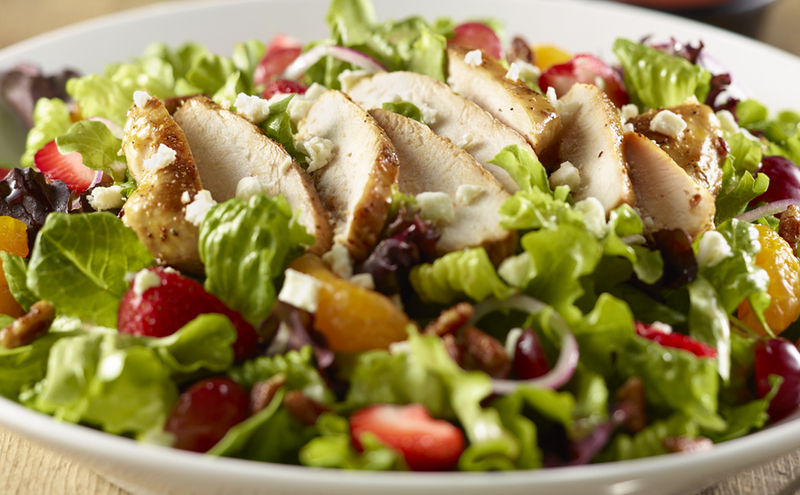 Served with your choice of side and hand-chopped salad. 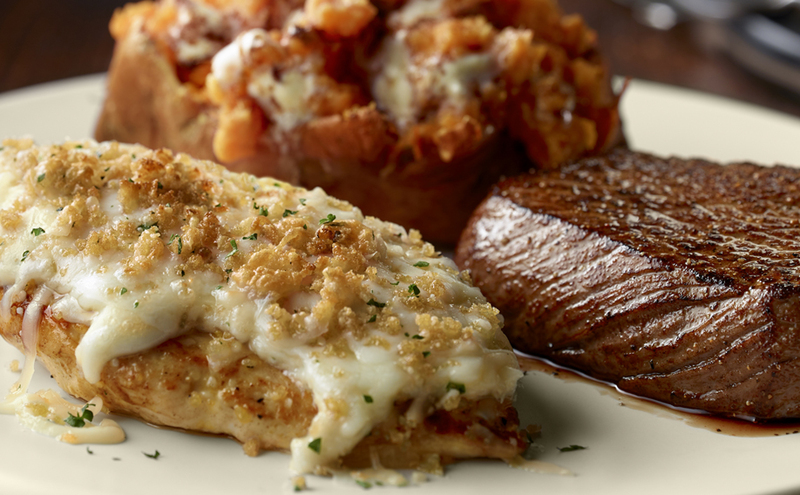 Grilled sirloin paired with fresh chicken topped with a cheesy, crunchy Parmesan and garlic cheese crust. 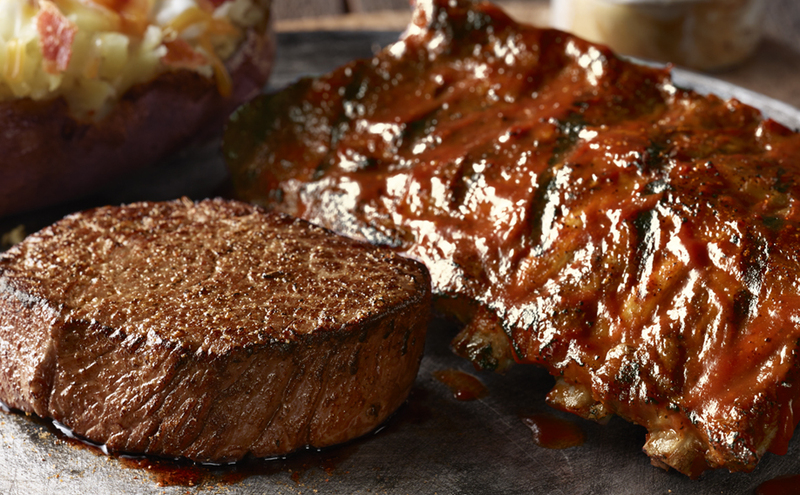 Grilled sirloin paired with a half-rack of our slow-roasted, tender BBQ baby back ribs. The best that surf and turf have to offer. Our signature 6 oz. 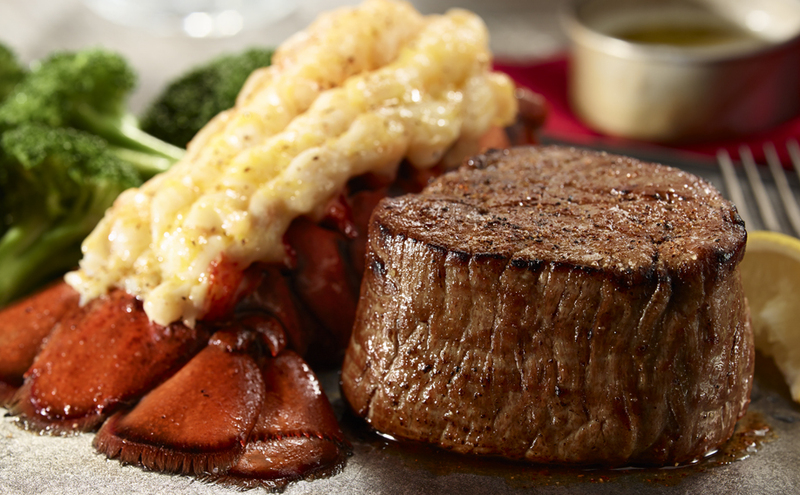 center-cut filet paired with a succulent cold-water lobster tail and melted butter. Served with choice of side and hand-chopped salad. 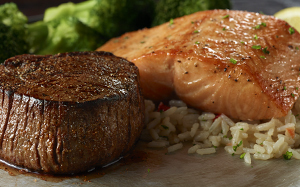 The best that surf and turf have to offer. Our signature center-cut filet paired with a succulent cold-water lobster tail and melted butter. Served with choice of side and hand-chopped salad. 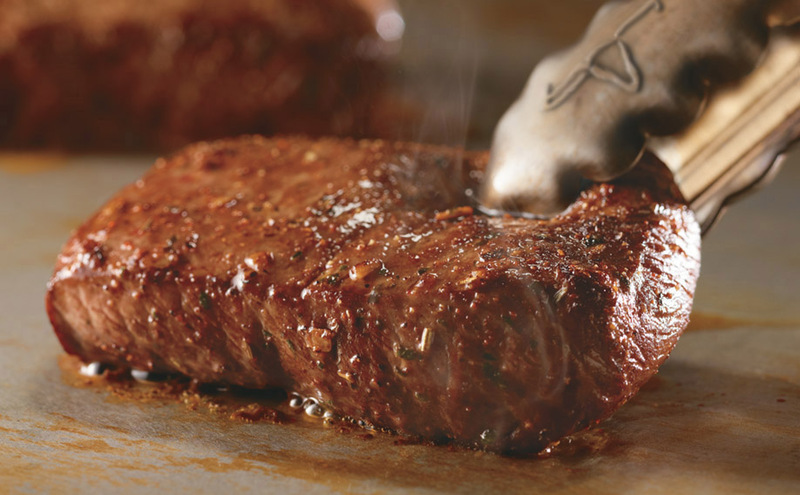 If you think our steaks are the only way to experience LongHorn's full flavor, think again. Served with a HAND-CHOPPED salad and choice of side. * = CONTAINS (OR MAY CONTAIN) RAW OR UNDERCOOKED INGREDIENTS. CONSUMING RAW OR UNDERCOOKED MEATS, POULTRY, SEAFOOD, SHELLFISH OR EGGS MAY INCREASE YOUR RISK OF FOODBORNE ILLNESS, ESPECIALLY IF YOU HAVE CERTAIN MEDICAL CONDITIONS. BURGERS AND CHOPPED STEAK COOKED TO MEDIUM (155°). What's a steakhouse know about salmon? Plenty! Our hand-cut, fresh Atlantic Salmon is marinated in our secret bourbon marinade and grilled to flaky perfection. Served over rice with a hand-chopped salad and choice of side. What's a steakhouse know about salmon? Plenty! 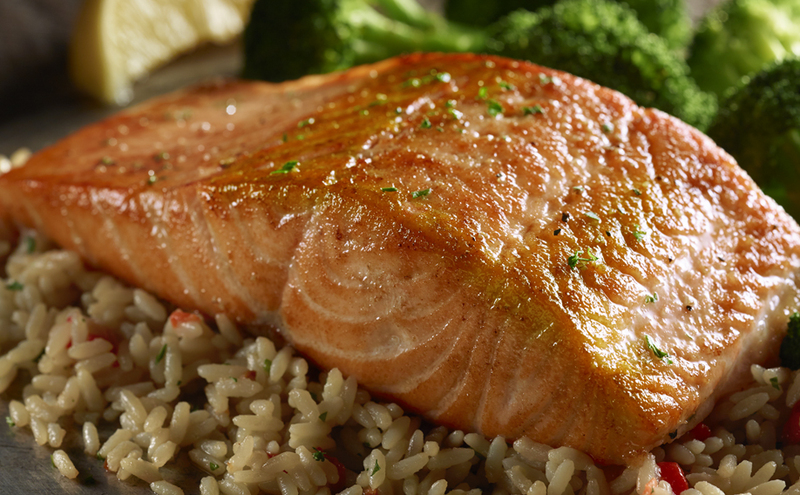 Our hand-cut, fresh Atlantic Salmon is marinated in our secret bourbon marinade and grilled to flaky perfection. Served over rice with hand-chopped salad and choice of side. Two juicy 8 oz. 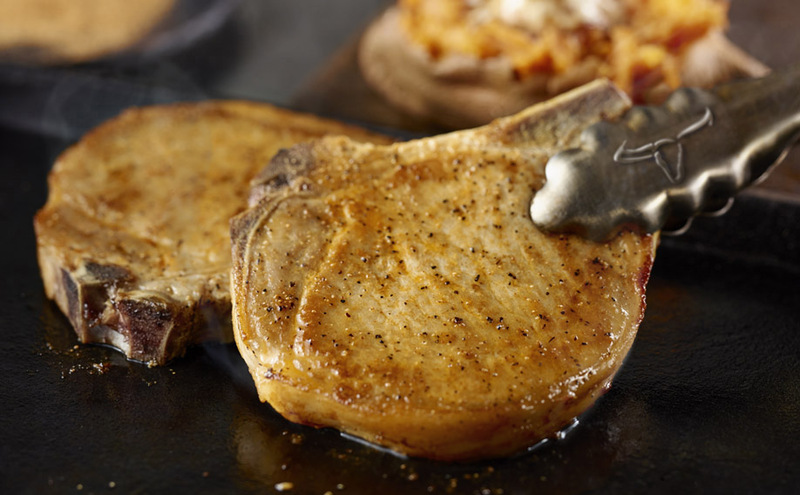 center-cut, grilled bone-in pork chops. 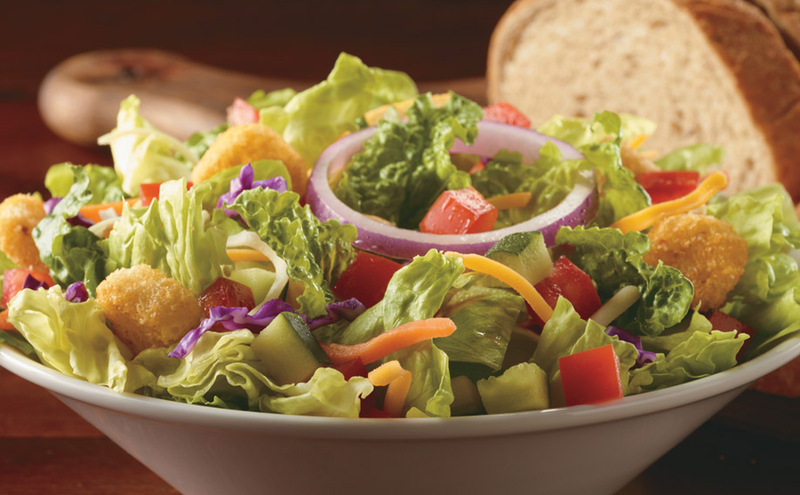 Served with your choice of hand-chopped salad and side. 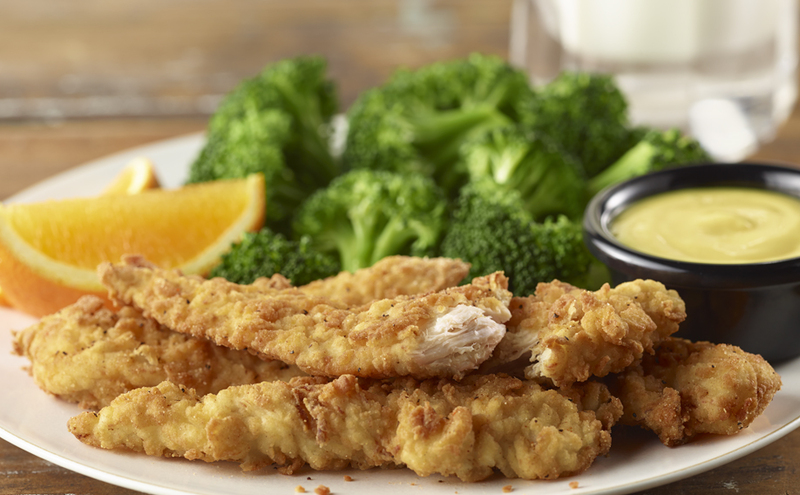 Fresh, never frozen chicken tenders. Served with honey mustard and a choice of hand-chopped salad and side. 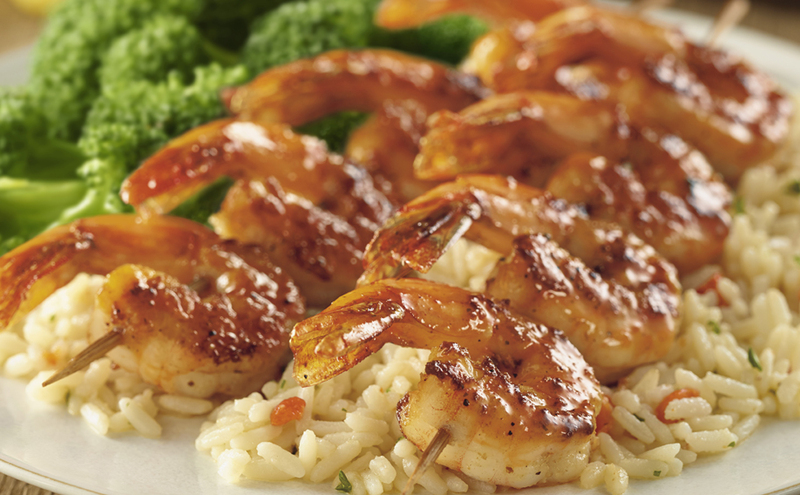 A dozen grilled shrimp glazed with our smoky tomato butter. Served over rice with garlic butter for dipping. Includes hand-chopped salad and choice of side. 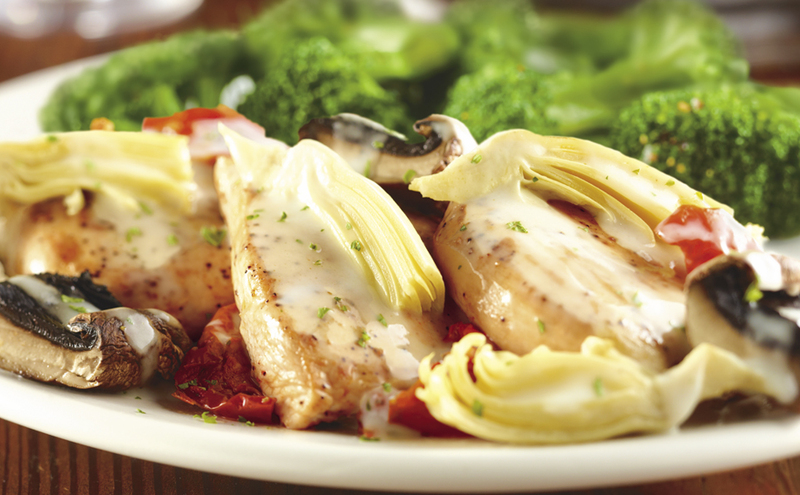 Our tender chicken breasts topped with artichoke hearts, grilled mushrooms, roasted tomatoes and a white wine herb sauce. Includes hand-chopped salad and choice of side. 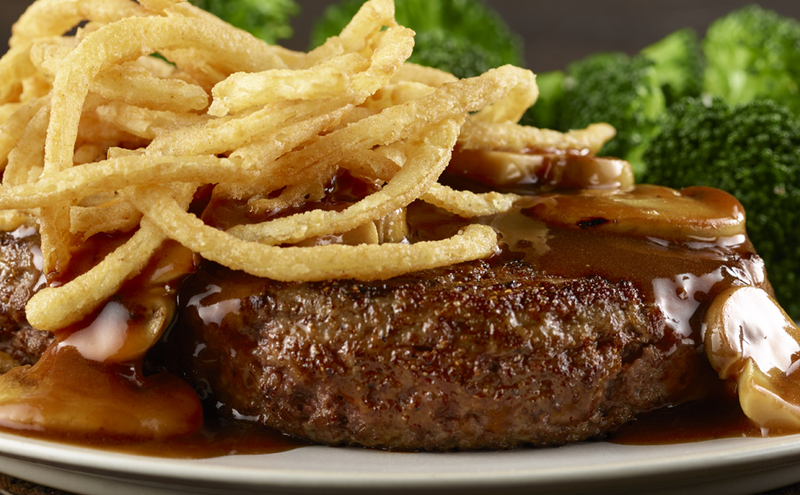 Freshly ground beef and smothered with mushrooms, savory garlic-herb sauce and crispy onions. 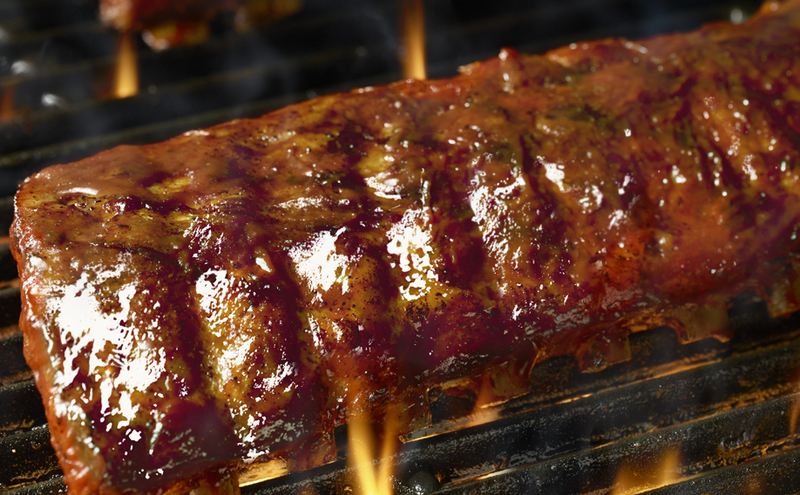 Our slow-roasted, fall-off-the-bone tender BBQ baby back ribs. Includes hand-chopped salad and choice of side. Served with seasoned fries or choice of side. * = CONTAINS (OR MAY CONTAIN) RAW OR UNDERCOOKED INGREDIENTS. CONSUMING RAW OR UNDERCOOKED MEATS, POULTRY, SEAFOOD, SHELLFISH OR EGGS MAY INCREASE YOUR RISK OF FOODBORNE ILLNESS, ESPECIALLY IF YOU HAVE CERTAIN MEDICAL CONDITIONS. BURGERS AND CHOPPED STEAK COOKED TO MEDIUM (155°). The one-of-a-kind original. 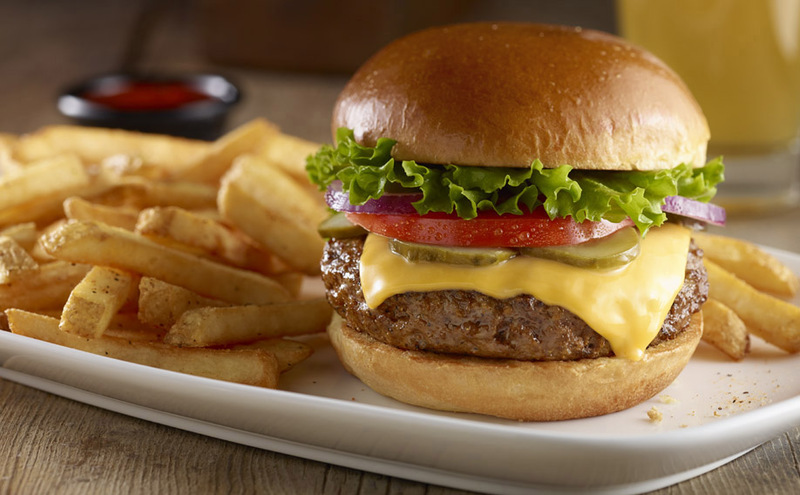 A half-pound of fresh beef, grilled to order, dressed to impress and topped with your choice of American, Swiss or cheddar cheese. Served with our crave-worthy fries or choice of side. Topped with roasted mushrooms, Swiss cheese, steakhouse mayo and arugula on a toasted potato bun. Served with choice of side. 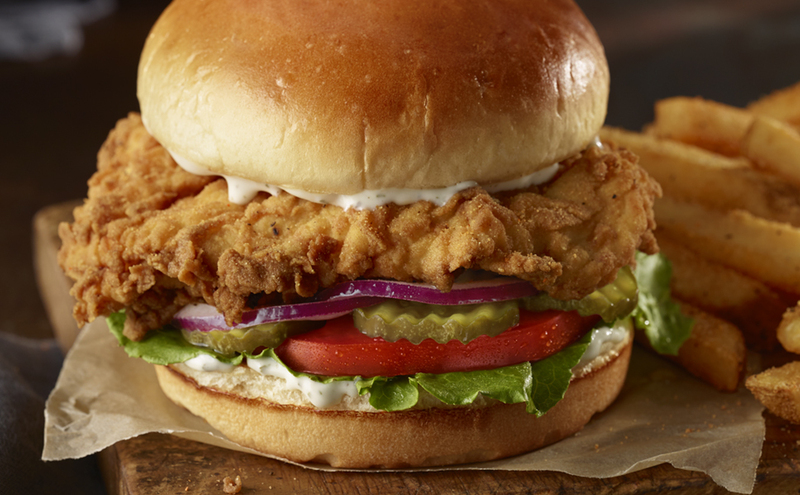 Fresh, hand-breaded chicken breast fried, with lettuce, onion, tomato, pickles, and housemade ranch. LongHorn Flavor, made just for kids. * = CONTAINS (OR MAY CONTAIN) RAW OR UNDERCOOKED INGREDIENTS. CONSUMING RAW OR UNDERCOOKED MEATS, POULTRY, SEAFOOD, SHELLFISH OR EGGS MAY INCREASE YOUR RISK OF FOODBORNE ILLNESS, ESPECIALLY IF YOU HAVE CERTAIN MEDICAL CONDITIONS. 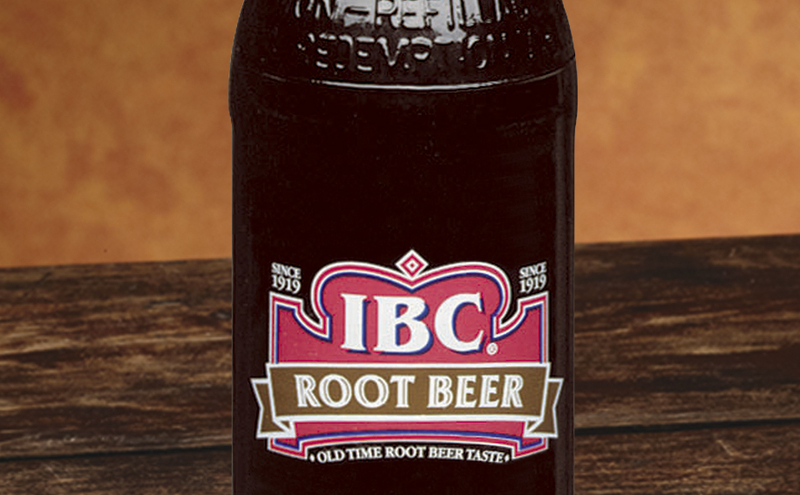 A kid-friendly, 6 oz. sirloin. Expertly grilled for that great taste everyone loves! Served with seasonal fruit and choice of side. 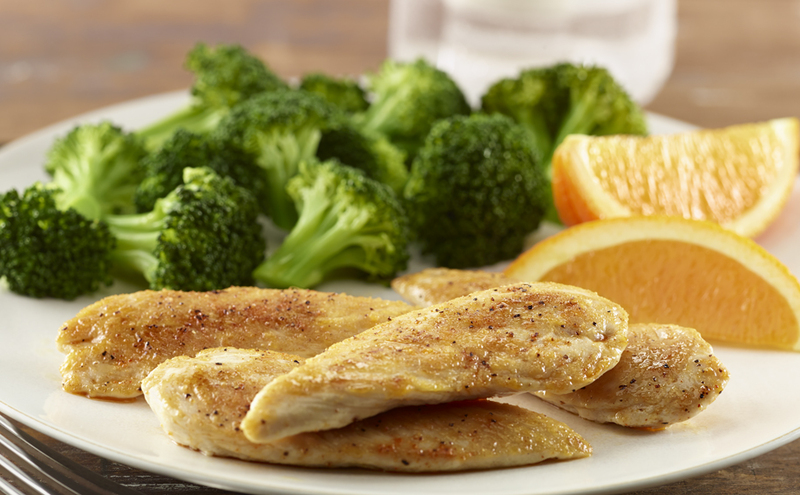 Four expertly seasoned, juicy grilled chicken tenders served with seasonal fruit and choice of side. For the sophisticated kid. A childhood staple. 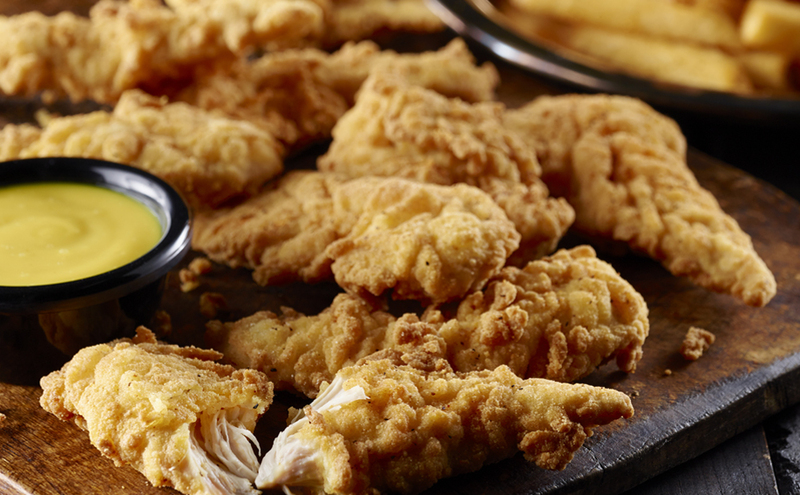 Hand-breaded, golden-fried fresh chicken tenders with Honey Mustard dipping sauce. Served with seasonal fruit and choice of side. 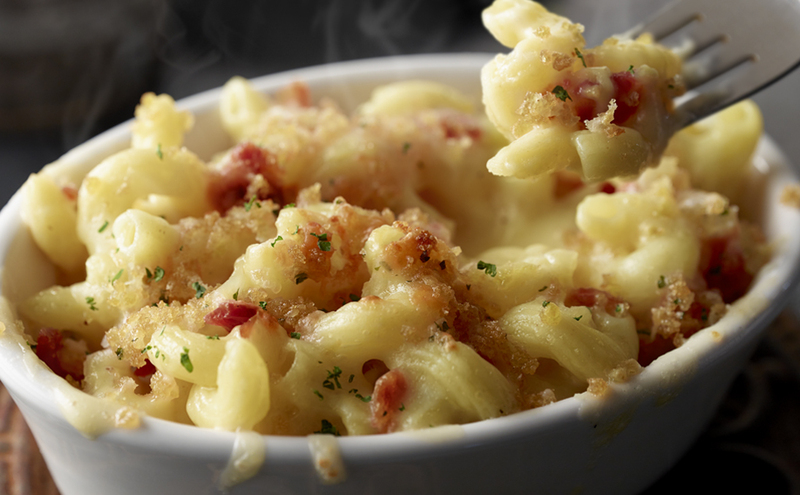 Seasoned with our signature blend of spices and topped with your choice of cheese. Served on a lightly toasted bun with seasonal fruit and one side. It’s a kid classic. 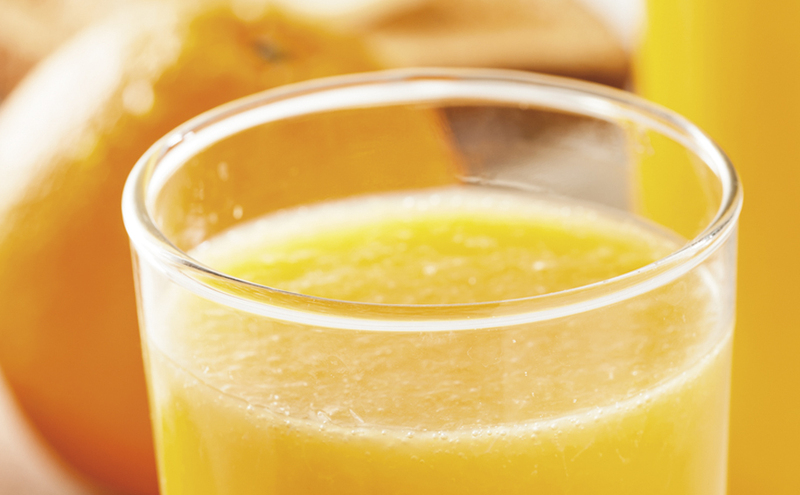 Satisfy your sweet tooth with our fresh and frozen dessert smoothies. 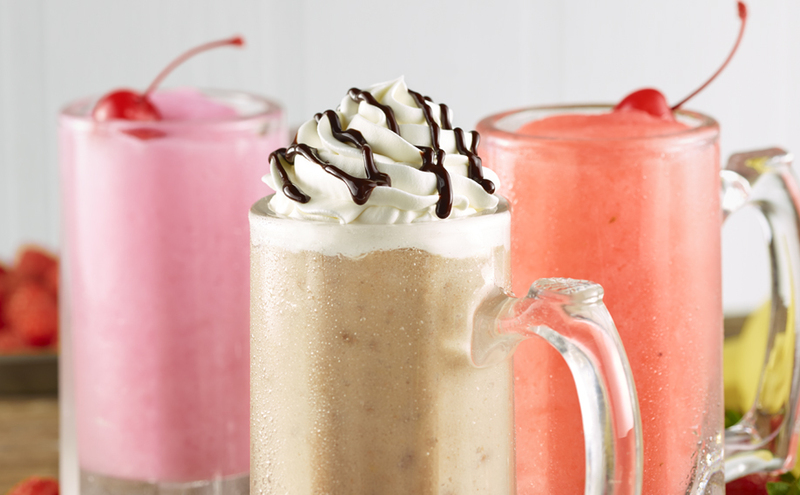 Choose from the Peanut Butter Cup Chill, Raspberry Dream Smoothie or the Banana Berry Freeze. 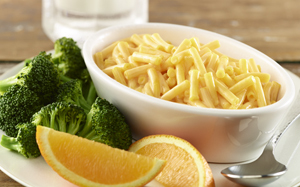 Warm Kraft® Macaroni & Cheese served with seasonal fruit and choice of side. 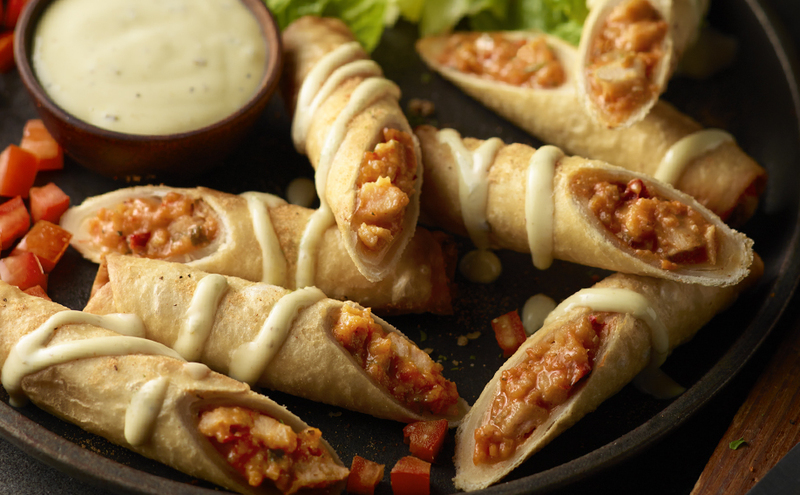 No kid can say no to this crowd pleaser.